The holiday season will be here before you know it. Would you like to enjoy the season a little more this year? Consider getting a head start by doing some things during the month of October. We’ve put together a checklist of items you can do ahead of time. 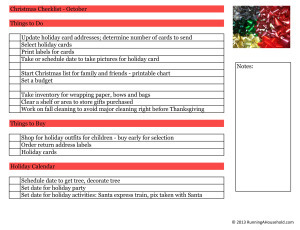 These are just a few things you can do ahead of time, to make your holiday season more enjoyable. Be sure to print our October Checklist so that you stay organized. 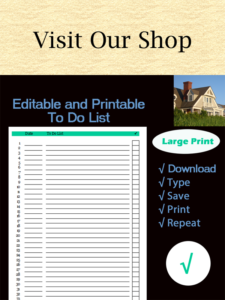 Need a few more Christmas ideas, organizational tips, or printables? Click here to check out our special tab dedicated just for Christmas. 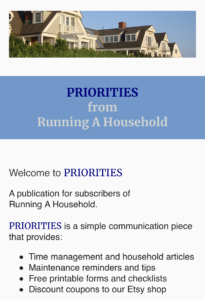 This entry was posted in Time Management and tagged Christmas checklist, Christmas checklist October, Christmas things to do ahead of time, prepare for hoildays on October 24, 2014 by Running A Household.